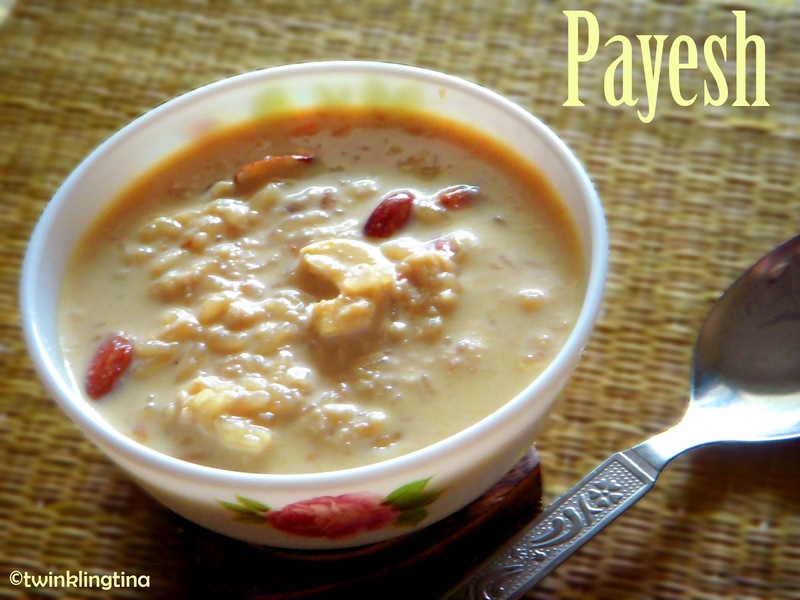 If you are a Bengali you can never escape the evergreen ‘payesh’. You have any traditional function, any festival or even a birthday payesh is omnipresent. 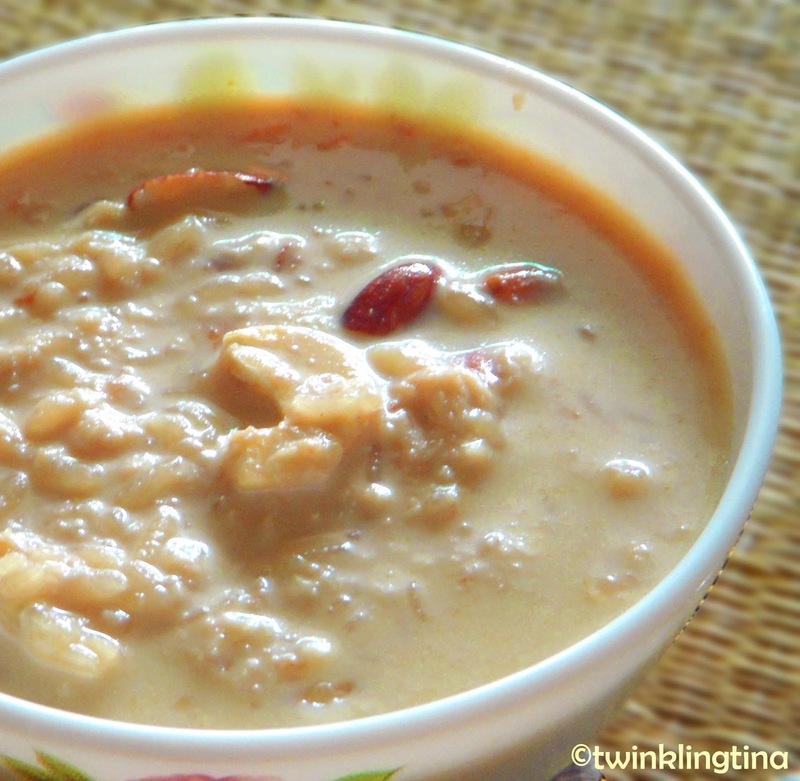 Payesh or rice kheer is a dessert item traditionally made with milk, rice and sugar. However, there are many variations of payesh and can be made with various things like semolina, thatched rice, flour and even with Rasgulla!! Surprised… that’s what I like about cooking you can get so creative. But this one here is a traditional payesh with rice but with some little twist. Little additions to make it even yummier. Bring milk to boil in a pot. Take care to stir the milk as it reduces. Add the rice and let it cook in the milk. Keep the gas low and stir at regular levels. If you don’t stir the milk will start sticking at the base and might get burnt. Add crushed cardamom Add the sugar only when the rice is cooked. It’s important to note when to add the sugar – if you add sugar before it will not let the rice cook properly. So add sugar or the sweeteners only when the rice is cooked. Add the batasha. Batasha is made of flour and sugar. These sugar drops not only adds flavour in this dessert but also gives an amazing consistency. It helps in thickening the payesh. Add the dry fruits and condensed milk and stir for another 2-3 mins. Let it sit for some time and then you can serve. It always tastes best if you let it rest for a good 3-4 hours.